Many gifted children are deeply attracted to the study of outer space. Some of them know all the planets of the solar system - in order - by the time they are three or four years old. They know (or want to know) about galaxies, quasars, black holes, and of course, space travel. It's not unusual for these children to aspire to a career as an astronaut. This is a machine that simulates the feeling an astronaut would have in a tumbling spin when reentering the Earth's atmosphere. Astronauts used it as a way to prepare themselves for the disorientation that would occur during such a spin. Watching someone spinning in it makes it look much worse than it is! This chair allows astronauts to practice moving in space, where there is no gravity. Astronauts freely move in every direction and without any friction, a slight push in one direction can send you moving farther than you intended to go! This chair simulates the feeling an astronaut would get on a surface with one-sixth the gravity of earth -- like the moon. It was used by the Apollo astronauts to prepare for their mission to the moon. The MMU simulates the experience of maneuvering in space using a jet pack to move around untethered, or connected, to the space ship. Teams work together to build and launch a one-stage model rocket. Participants take on the various roles performed by NASA people on the ground in the Misson Control Center overseeing the activities of a space mission. While one group of participants is in the Mission Control Center, another group is performing the various roles of the astronauts in a space shuttle. One will captain the ship while others suit up and go out for a space walk (using the 5 degrees of freedom chair to complete their task). These are just some of the activities that all participants in each of the various programs get to engage in. There is much, much more, even in the three-day programs! Participants are kept busy from the moment they arrive to the minute they leave for home. Older children will certainly enjoy the longer programs. They live together in "habitats" and form lasting friendships with other kids who share their love of space and space exploration. They get a chance to develop leadership skills as well. Younger children get a chance to live their dream. 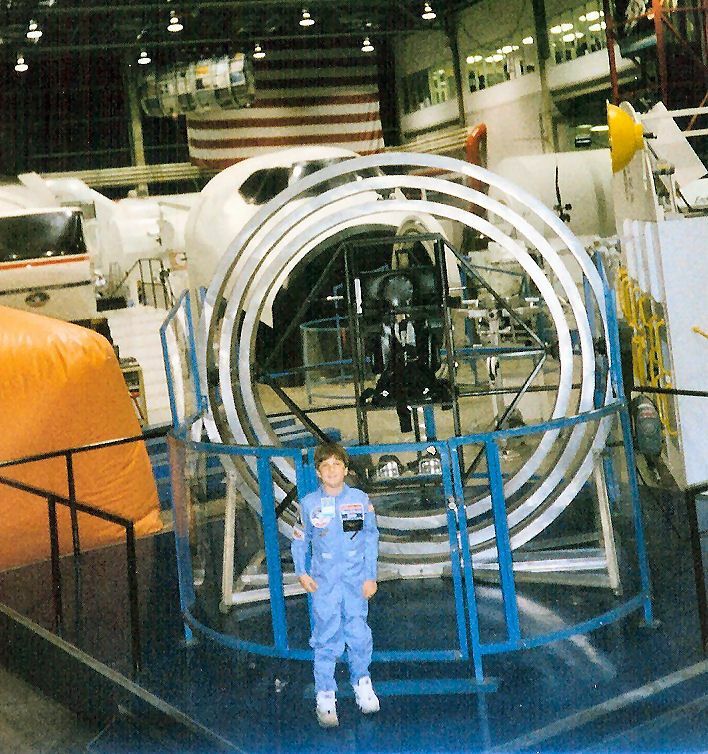 A seven-year-old need not wait until he or she is sixteen or even twelve to participate in a Space Camp program. The Parent/Child program is perfect for these kids. It's also a great option for parents who are reluctant to let their ten or twelve -year-old spend a week alone at Space Camp in one of the other programs. It's also a great option for parents of younger children who share their child's enthusiasm for space and space exploration. For an extra cost, both parents can attend Space Camp. The main disadvantage of the program is the cost. Not only do parents have to pay for the program itself, but transportation can also be expensive, particularly if you live far from Huntsville, Alabama. It can be difficult for parents without unlimited financial resources to send their children to camp. However, the program is well worth the cost and parents who think their child might be interested should plan ahead and save money for the trip. Another disadvantage is that parents may be reluctant to send their children, particularly the younger ones, to go to Space Camp alone. They are reluctant to put their child on a plane alone (although Space Camp officials do meet the children at the Huntsville airport). These parents may want to travel to Huntsville with their children and stay for the week in Huntsville, visiting the other attractions. While Huntsville does have a great deal to offer visitors, this adds to the cost of Space Camp for the child. Parents of children ages seven to twelve can avoid this problem by attending the Parent/Child Space Camp weekend.